The Window Surgeon can tune up, replicate or make wood window repairs in Columbus, Ohio for a fraction of the cost of replacement. In many cases we can replace single pane glass with insulated glass in the existing sash of your Central Ohio home for energy savings and replacement window savings. 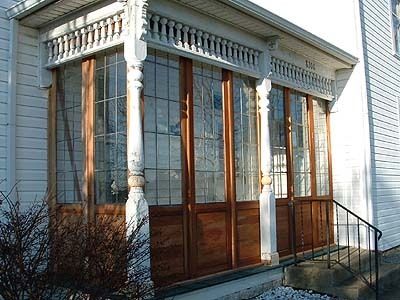 From wood window storm panels to custom wood windows and all-weather porches, we've improved the look of many homes in Columbus and Central Ohio, providing energy savings as well as replacement savings. Take a look ar our most recent custom and wood window repair in Columbus Ohio.